Our First Dumbasss of 2011! It is with utter desperation great cheer that I bring to you the First Dumbass of 2011! Our first dumbass of this new year comes from right in here in my city of residence, Augusta, Maine. Since Augusta is the State Capital of Maine, at first glance I thought that our dumbass may be one of the Liberals in the State Legislature, but it was not meant to be. However, I have faith that one of our more Liberal lawmakers will be on the Dumbass List of 2011 sometime this year. But, I digress. Joseph Darling was sentenced to 21 days in jail after being convicted of tax evasion. Joseph is a dumbass. But, he is a dumbass for a reason other than being a tax cheat. Joey claimed he didn't have to pay taxes because he was the governor of Maine! While I harbor no doubt that Joey could do a better job than our outgoing Gov, I can assure you, the reader, that Joseph Darling is not now nor has he ever been the Governor of Maine. He is simply a dumbass tax cheat who was caught and convicted. As the Attorney General of Maine pointed out, that even if Joe were the Governor of Maine, he would still have to pay taxes on his salary. Maine has a state income tax, which is a dumbass thing in and of itself, but it's not terribly draconian. i have lived here for almost five years, and while I am not exactly in the upper echelon of taxpayers in the state, until I became almost disabled, I was doing OK financially, and the largest refund on State Income Tax that I got was something like $40. Here's the rub with Joseph. He owes the state more than $11,000 in back taxes for only four years that he failed to file his state income tax report. What a dumbass! If he was making enough money to rack up an $11,000 tax bill to the state in only four years, he should have been Governor! The dude has some mad money-making skillz. The state of Maine would be debt-free and on the road to serious prosperity with this guy at the helm of the Ship of State. On second thought, if Maine were to achieve such fiscal success, it would just bring in more dumbasses from Massivetwoshits and I'd rather pay more taxes than to have those Mass-holes come to Maine to stay. Taxes are way more tolerable than Mass-holes. Dumbasses. And Joseph Darling? He's a dumbass, too. 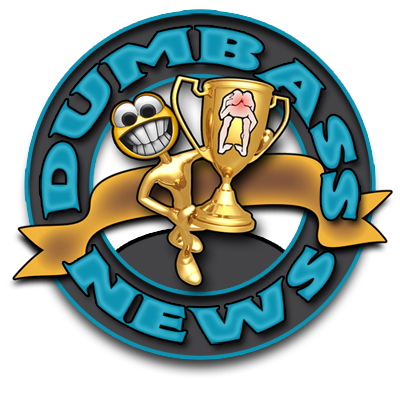 Get Your Dumbass Newspaper Headlines Here! Lady Caught Stealing From Dead Boyfriend! ! Monongahela River Consumes Man's Gazebos! If Your Kid Says "Yuck", He's a Raaaaacist! Dumbass Contractor Tears Down Wrong House!